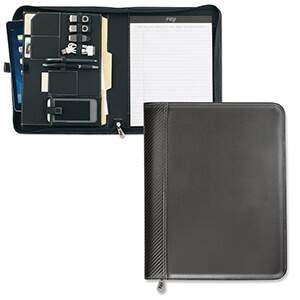 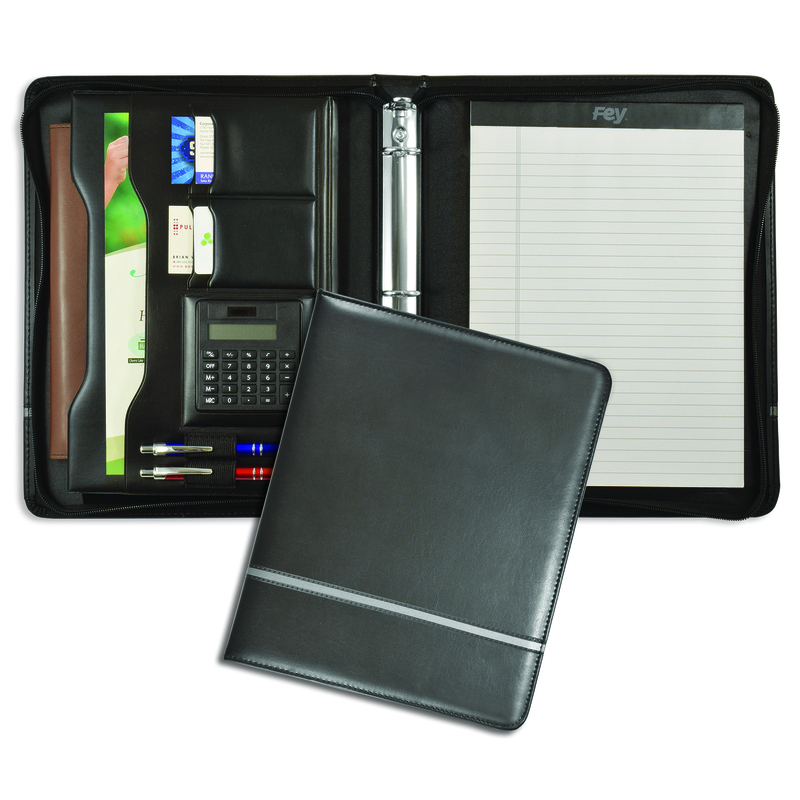 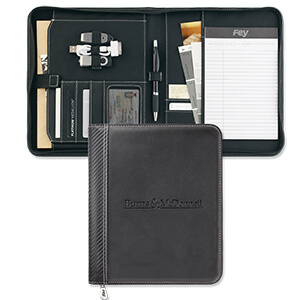 The Chartwell Zippered Ringfolio is the perfect place to keep all your notes, business cards and more. 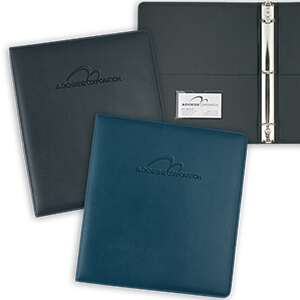 The 1" capacity round ring metal is removable as it securely attached to the binder cover with hook and loop. 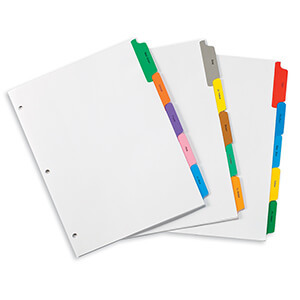 The 1" capacity round rings which can hold up to 200 loose leaf sheets. 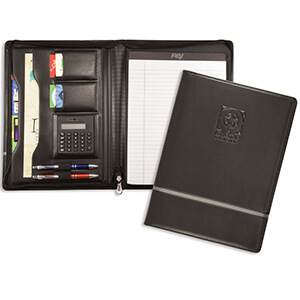 Stitched & padded cover with a silver horizontal accent stripe when debossed, provides an elegant, classy and brand building tool that holds 11" x 8-1/2" sheet size. 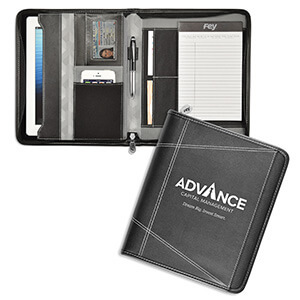 10-3/4" x 13-1/2" x 1-3/4"